We organise events promoting the excellence of professional traditional and contemporary artists and makers. Impart understanding for people to learn about the design and technical elements of making and encourage appreciation and intelligent collecting, through providing a well-planned, accessible event. To include talks, workshops and demonstrations and attract a large and diverse audience for the artists, makers and galleries involved, to stimulate sales and commissions. The initiative will be a not-for-profit event; any profits will go into establishing awards, residencies and apprenticeships for those developing their practice in the region. Miranda Leonard is a curator who has been involved in mounting an average of 7 exhibitions or more a year over her working career which began in earnest in 1988. She is an enthusiastic promoter of British contemporary craft and a long-standing advocate of making work accessible and of building up a dialogue with diverse audiences. Brought up in the North West where she studied Landscape Architecture at Manchester University. She went on to a Fine Art degree at Eastbourne College then part of the University of Sussex after which she worked for a year as assistant manager at the Portland Gallery, Manchester and took several entrepreneurial art selling trips to Scandinavia, where she became more interested in public art and sculpture. She continued with her own creative practice while teaching full time for six years and when she left to become a full time artist, took up gallery work part-time. However, she soon became engrossed in organising exhibitions and within two years was Director of Rye Art Gallery, Sussex, a gallery run by a charitable trust with a permanent collection of Modern British painters and an adjacent, highly successful contemporary gallery. There, she managed the collections, mounted historical exhibitions including surveys of artists such as Edward Burra, Edward Bawden, and Eric Gill, as well as a strong programme of contemporary selling exhibitions. Under her directorship, she raised the profile of the gallery for craft and fine art collectors and raised ACE funding for future developments. As Exhibition Director at Brewery Arts (1995-2008) Miranda was able to develop a strong national profile for Craft Council sponsored touring exhibitions, such as retrospectives of Breon O’Casey ‘Man and Materials’ and Tadek Beutlich ‘Off the Loom’. 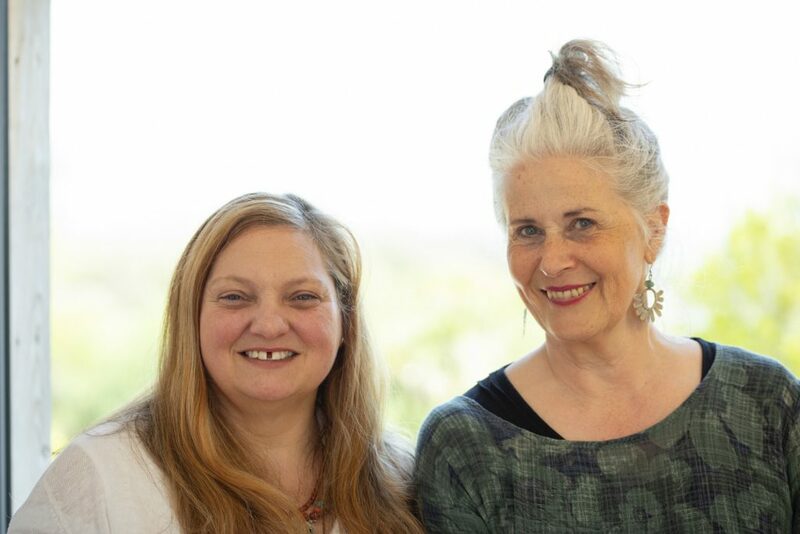 ACE and NESTA funded the project and touring exhibition ‘Hitec-Lotec’ and spin-off exhibition ‘Enter Here’ was a major crafts initiative and she also curated many other touring projects such as interactive ‘Orchard’ by Edwina Bridgeman. Since 2008, Miranda has been working as a freelance curator, gardener and educator. She co-curated Fresh Air biannual Sculpture Exhibition at Quenington from 2008 – 2017, having curated the Pool House almost consistently from 1997. Recent projects include ‘Two Make’ a collaborative project and touring exhibition where she worked with Gloucestershire designer/makers and Dr Nicola Thomas, professor of Cultural Geography at the University of Exeter. This exhibition toured nationally 2016/2017. She also runs a pop-up gallery called the ‘Restless Gallery’, which tailors exhibitions for specific galleries around Britain. Miranda also uses her teaching experience to work with educators and students on several projects relating to contemporary craft and sculpture. She lives with her husband, potter Richard Phethean, in Cornwall. Samme Charlesworth, born London, 1965, began her career working at the Condé Nast, home and lifestyle magazine, The World of Interiors, under the editorship of founder Min Hogg. Whilst at the magazine, Samme gained a particular experience of taking the publication on the road to trade shows in Milan, Paris, Frankfurt and to Decorex, London annually. As a founding Committee Member of The Chelsea Design Week, she lead the marketing and advertising campaign with the main sponsors The World of Interiors, at the launch and subsequent early years of this popular and unique event that has grown to become the London Design Week, Chelsea Harbour. A keen traveller, she met her husband Timothy while she was on sabbatical working on Vogue Australia, Sydney. They settled back in London where she went to work at The Design and Decoration Building, Pimlico, with the talented Robin Guild, co-founder of Designers Guild and one of Britain’s most successful designers. Nurtured by an artistic, talented family, whose business interests reach into creative sectors such as fashion design, textile manufacturing, antiques dealing, photography and most importantly British theatre, as theatre owners and theatrical producers. Samme went onto work with her family at the Theatre Royal Haymarket, London, before moving down to West Cornwall, whereas a director she has maintained her professional marketing and fundraising skills for the family business in support of activities such as Masterclass, a charity programme for youth stagecraft development. For the last twelve years, she has been drawn back into the world of the handcrafted object, taking up four years of study before developing her practice as a ceramics artist, which she continues to enjoy today. In 2012, Samme took up the challenge of becoming founding Membership Secretary for the newly launched chapter of NADFAS – The Arts Society West Cornwall. She is currently the West Cornwall Society Programme Secretary, arranging their annual lecture programme.